No, thats just for both the pressure transducers, ill throw in the two manifolds for twenty a piece if you or anyone wants them. By manifold i mean the brass manifold WITHOUT the gauges or anything else. Both manifolds have the red and blue plastic handles still. You can still get a rebuild kit for the leaks and new clamps sensors from DC. It will probably cost you $150 though. I think it's worth it. I did the same thing about a year ago. Have you had the opportunity to muck around in the undocumented Service Mode 3 yet? Also make sure you test all of the thermistors in the outdoor unit. Actually test each one and make sure its resistance matches the chart. They can go bad without going out of range enough to generate an error code, and the unit can operate on erroneous data in a way that is not good for compressor health. Good to know. And what's the Service mode 3? Pm me if it's top secret. Theres nothing top secret. Mark does not work for fieldpiece. The "Service mode 3" is a Daikin VRV thing, nothing to do with Fieldpiece. It is a place where you can REALLY mess the machine up. It isn't covered in any of the Daikin classes, or at least it wasn't 10 years ago when I went, or in the service manuals, but sometimes their tech support people will walk you through changing a setting in it to reset certain things. 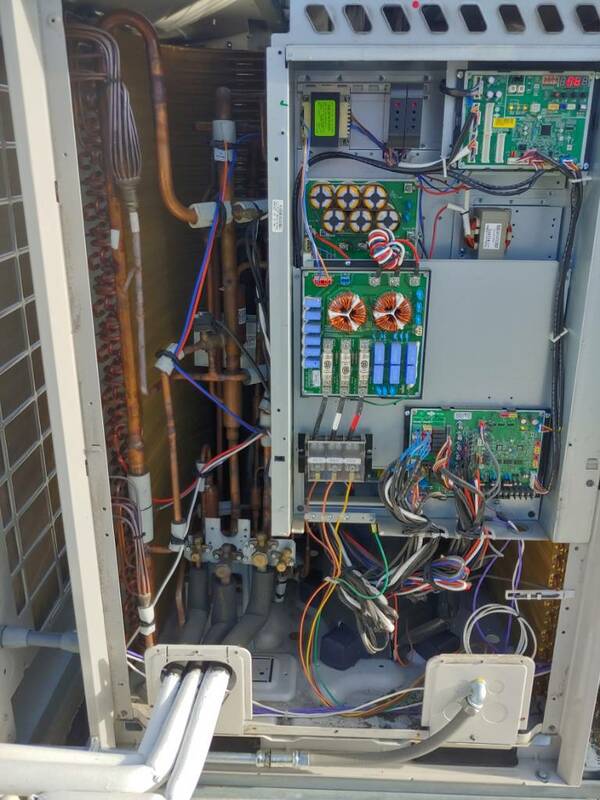 For example, if you put a VRV2, or early VRV3 unit into check operation, and it errors out for a bad inverter or compressor, it will usually get stuck with a U3 code that you can't clear until you repair the unit and complete a check operation. This prevents you from locking out the inverter compressor to get the unit working on the non inverter compressor until you can get the parts to complete the repairs. There is a way to clear it in service mode 3. I'm not positive, but I think they made the later VRV units not go into permanent U3 lock down if the check operation mode doesn't complete. You can still get a rebuild kit for the leaks and new clamps sensors from DC. It will probably cost you $150 though. Or just mod the AK to accept Cooper sensors. Thanks for the info. It never really made sense to me that you couldn't code out the one bad compressor. We've had a couple instances where an inverter compressor over amps or something like that. Not a burn out or direct short. They were systems with two "modules". Why can't you code out the one bad inverter and run the one good standard compressor along with the other two? The two systems I'm speaking of were at an assisted living complex and in the middle of summer. Only running 50% of the system wasn't enough and the rooms were hitting 80 degrees. Lawsuits were threatened by family members toward the complex. The state was called by family members and inspectors showed up. Threats were made by the state. Having 3/4 of the unit running would have made all the difference. Funny thing is, I'm working on an LG today. Similar POS like Daikin. Bad compressors at 1 1/2 years. Software and board issues. We have another bad compressor in a second system now and some sort of board issue. Honestly, except for Mitsubishi, I'm not impressed with VRV systems. They just don't seem ready for prime time. When they work, they are amazing. But there are too many problems that take down large swaths of buildings and take too long to fix. And the expense of changing out a compressor is crazy. 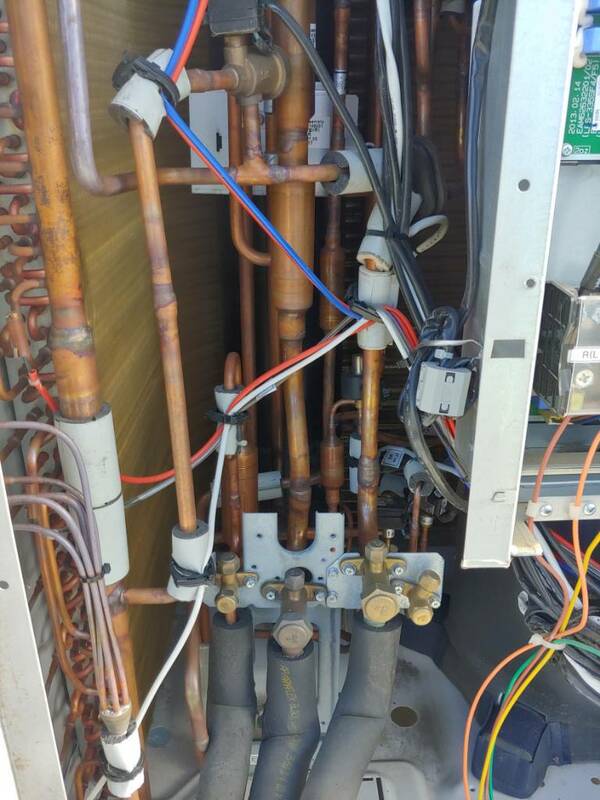 Even under warranty, customers are looking at $10k after labor, parts and refrigerant. This is my first time seeing an LG. They are definitely designed and manufactured for LG by the same people that do Daikin. So many physical similarities. "One out of 3 Democrat voters is just as stupid as the other two"
Will the additional probe & clamp fit comfortably/safely in the case? On Daikin VRV units you can lock out one compressor and just run it on the other. Just don't run the check operation mode before trying to do so, or you will be spending some quality time on the phone with tech support. The situation you describe with the assisted living place, that is exactly what I went through 4 summers in a row with one place, fortunately they fired us, but not until after I got the huge pile of cans they had been kicking down the road cleaned up. 18 indoor coils, several compressors, and 2 complete outdoor unit replacements. Daikin is a Japanese company, they invented the technology, and build their own units. LG is a Korean company, they also build their own units, but they copied the technology. This is turning into a VRF thread. Weird though that daikin factory tech support and the local distributor tech support say you cant code out just the inverter on VRV2 and 3. I wonder why it's top secret. But you can do it on VRV4 according to them. Also, yes I know the history of Daikin and that they invented the technology and LG is Korean..... But if you look at all the vavles, the wiring harnesses and connections, even the screws with those clear plastic washers used to hold the incredibly similar panels in place.... They are the exact same. I'm wondering if they used the same outfit for production. Weird though that daikin factory tech support and the local distributor tech support say you cant code out just the inverter on VRV2 and 3. I wonder why it's top secret. The instructions for it are in the published service manuals. Are their pictures? I can't read.